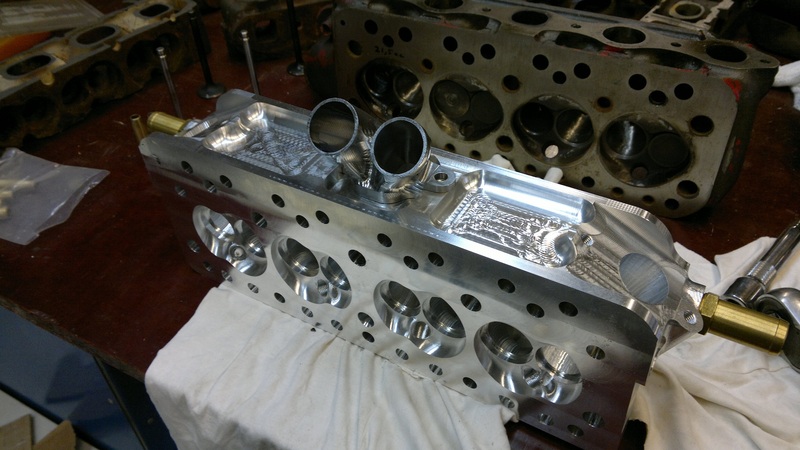 After a much too long delay we are back on track again with the head. We finally completed some other time-consuming projects so we have a lot more time now to spend on this project. The final test specs are now also clear. We will be running Autronic fuel injection which we will borrow from another car. We also considered just using a carburetor to potentially save some time, but that would again cause other difficulties, eg. fine-tuning the engine would be more difficult. 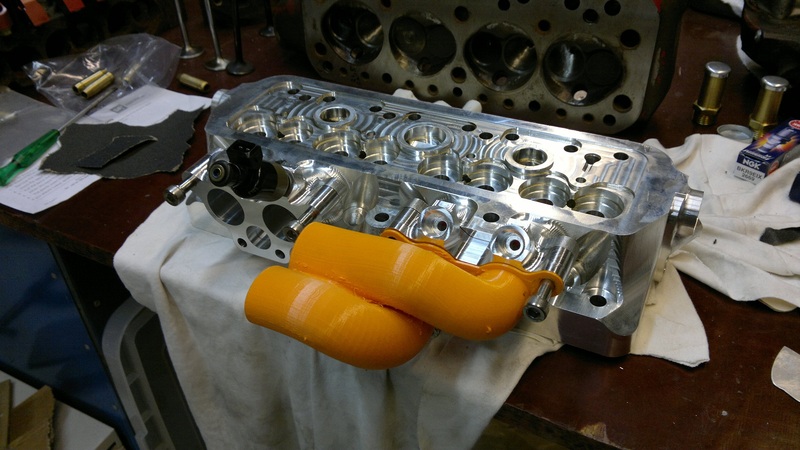 The intake manifold will be 3D-printed from plastic, compared to a welded design this gave us more freedom in the design, and also guarantees that all the intake runners have identical lengths. 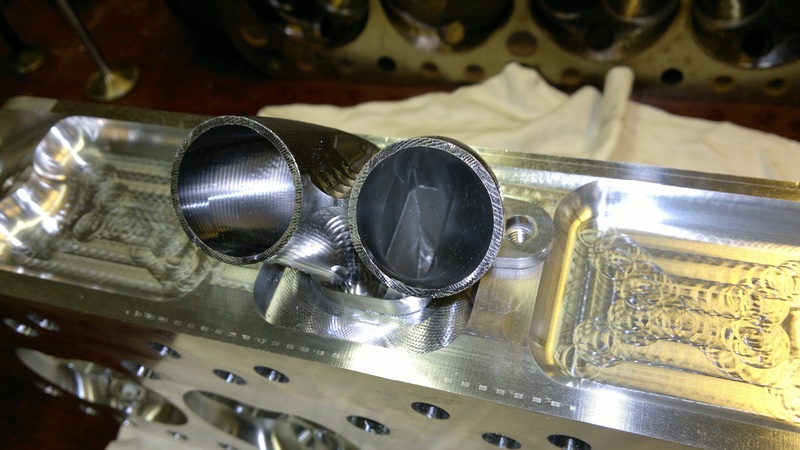 We have also machined the center exhaust adapter so that we get 4 individual exhausts as well as some intake adapters where the injectors will go. 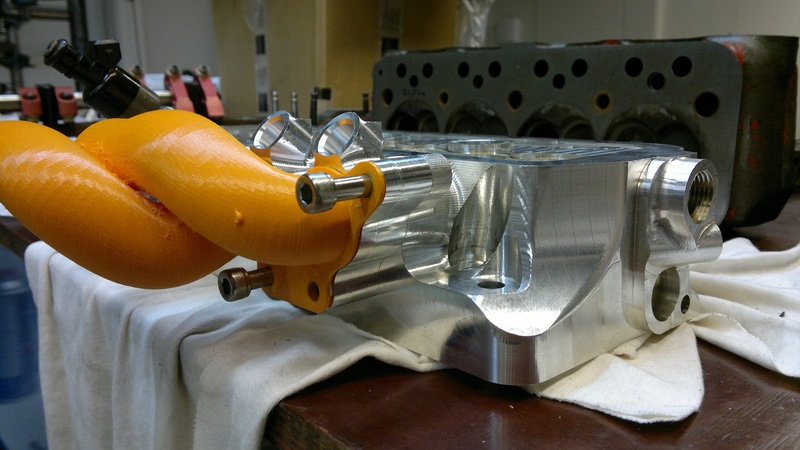 We will possibly integrate the injectors in the head in a newer version, the production version will likely also feature a (yet again) improved exhaust design. 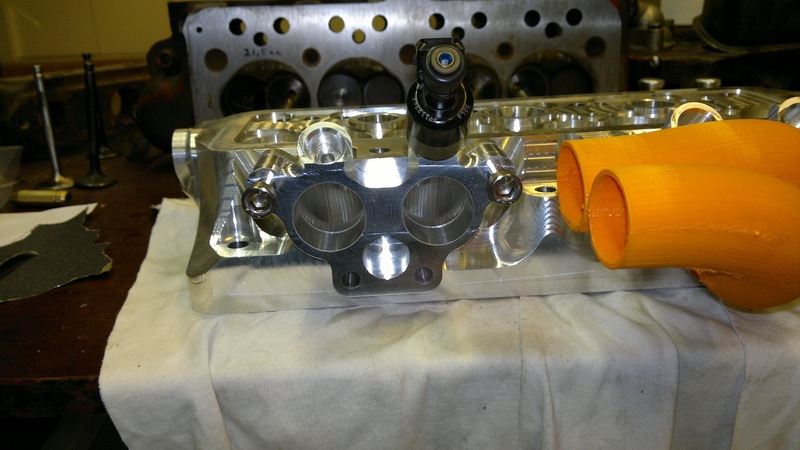 The valve seats are in the head now and the valves and throttle body are ordered. Everything else will be taken from a retired race head.